MONEY SHOTS: The designer, 33, sporting one of her own designs; (below) accepting her cheque for The Fashion Genie. DESIGNER Cecilia Davana exudes such a girl-next-door charm that in conversation she feels like someone you’ve known all your life. Like family. She brings that same down-to-earth aura, that utter realness, to her work as a seamstress and businesswoman. No wonder she’s been able to amass such a large clientele who keep her busy crafting custom-designed pieces perfect for the dancehall party scene and the occasional high-end event. 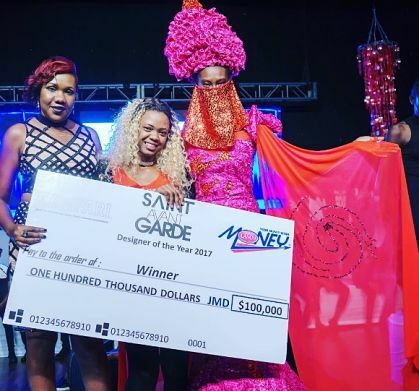 Versatility becomes her and, by all appearances, that it factor, coupled with the quality of her work, helped her secure her second win at the Avant Garde Designer of the Year Competition, which recently had its 2017 staging in Kingston. Davana (née Bucknor) topped the competition (30 designers all showcasing work inspired by Campari and Lasco Money) with her piece The Fashion Genie, a feat of exquisite skill, texture and vivid imagination that left the panel of judges (Sophia Max-Brown and Tom Tavares-Finson among them) – not to mention the packed Courtleigh Auditorium – in awe. Her big win secured her the coveted $100,000 cash prize. 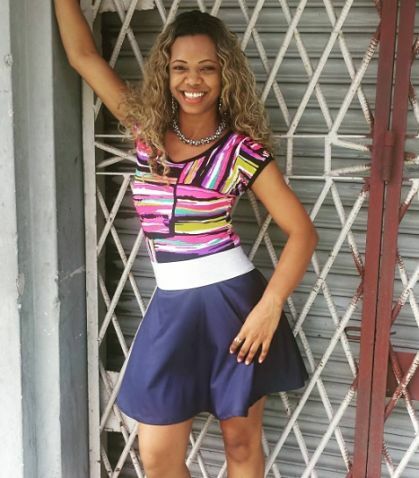 With her big diva hair and megawatt grin, the Meadowbrook High School graduate is a veteran of the competition, having entered back in 2012 (the year she won with the her “Lady Ackee” creation), 2013 (pregnant and glowing), 2015 and last year. As for the story behind the name The Fashion Genie, Davana says it came from her clients. “They call me The Fashion Genie. They say I’m a magician with fashion. So I decided to use the name,” explains the designer, who runs Awahsuh, a Downtown Kingston-based garment factory with her mom that supplies PE gear and dancehall-ready outfits.